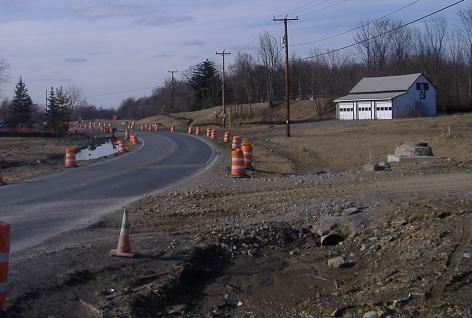 Drury Lane north of NY 207 is being repaved on the spot and will retain its two-lane character. 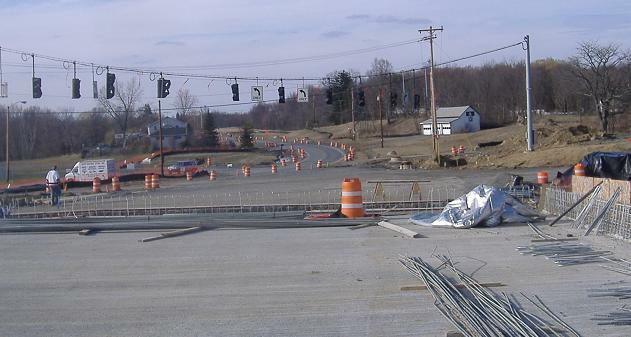 Between the Stewart Airport and I-84, it is being dualized on its existing alignment to four lanes (two each way), which includes construction of a new carriageway and then reconstruction of the old one to match the modernized (gentler) grades. 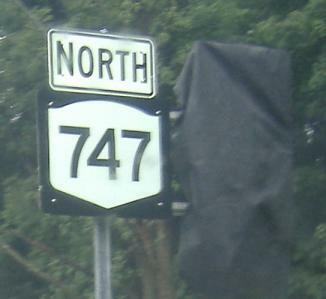 North of I-84, NY 747 follows a new alignment west of existing Drury Lane, sparing the homes there from the traffic Stewart Airport is expected to start bringing as a fourth airport complementing Newark, JFK, and LaGuardia. 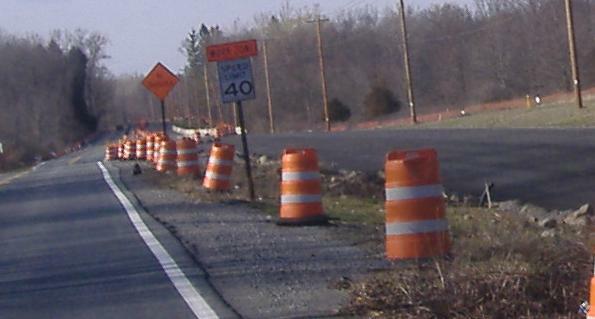 Photos were taken in April 2007, before much of 747 was open to traffic, and then again in August. Northbound in August, after the 747 shields were uncovered, but before the TO I-84 trailblazers were ready (i.e. before the interchange opened). 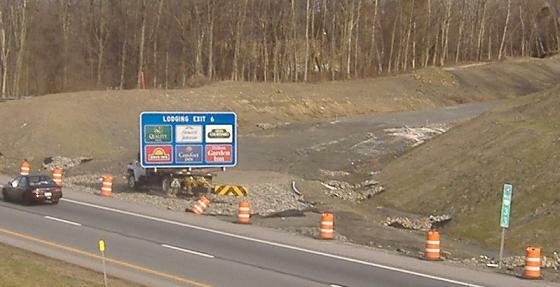 Traffic is now on the new NB carriageway, while the SB side is redone to match the new grade. 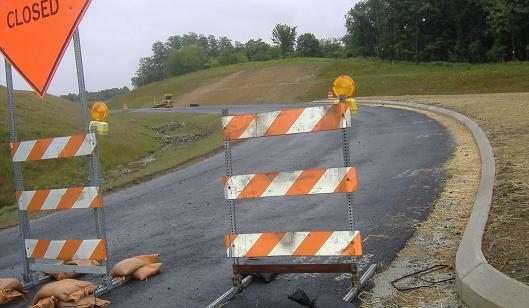 The access road from NY 747 into Stewart Airport, still not yet open in August, looking south and then east. That's a pretty big island, but it will help traffic flow smoothly from the airport to I-84. The WB-NB ramp out of the airport. 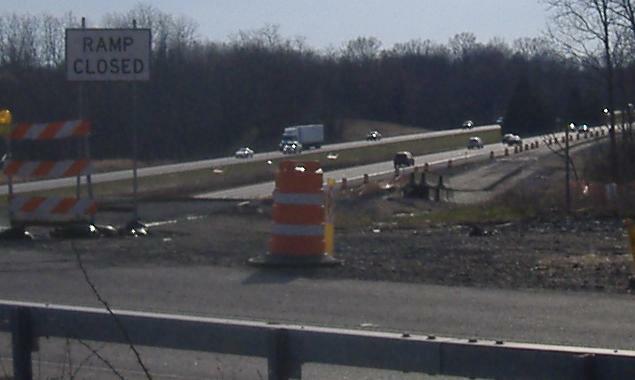 Heading north from the airport access road toward I-84 in April, with the new northbound carriageway nearly ready on the right (the one used in August). 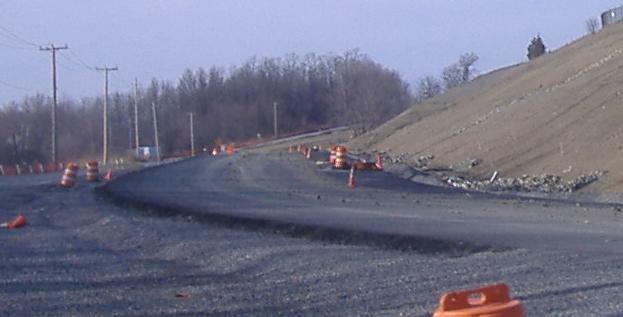 You can see how the new grade sometimes differs by several feet from the existing, smoothing out a couple of dips with the fill taken from the new access road that cuts through hills west of the airport. Looking north from the new, much wider overpass of I-84, toward where the divided highway merges back into the two lanes of existing Drury Lane (briefly, until it diverges again). This and the next several are April photos. Looking down from the overpass at the future I-84 EB Exit 5A off-ramp, half of a folded diamond in that direction. 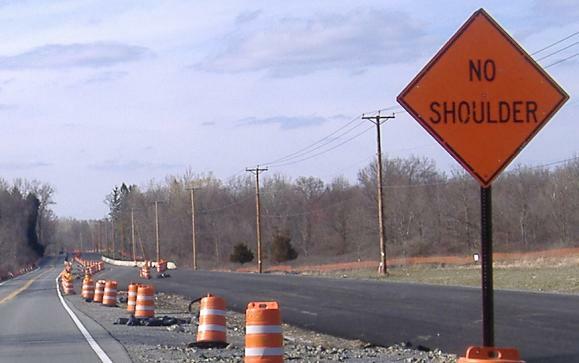 The sign is mounted on a truck probably so that it can be moved as work is done on the tie-in between I-84 and the ramp, but I really don't see why it couldn't be temporarily mounted elsewhere, say, not in the middle of the active construction zone. The future I-84 WB Exit 5A off-ramp, half of a regular diamond; the bridge is across the Catskill Aqueduct, part of New York City's extensive reservoir system. 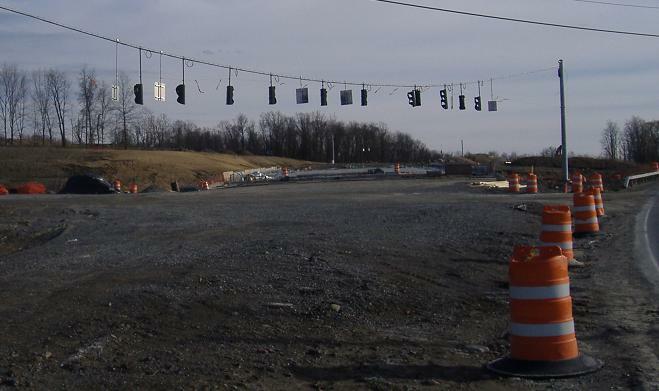 Walking south along Drury Lane, then onto and across the new overpass. The deck is complete and thus traversable, but the sides and any other superstructure remain to be poured. These are the last April photos on this page. NB crossing I-84 in August, with the old bridge that was in use in April now sitting off to the left ready to be demolished. The exit isn't open yet so there's no need to open the entire overpass to traffic. 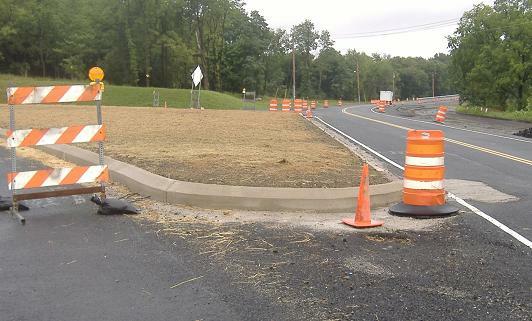 From a strip of pavement in April, this stretch of relocated roadway has been striped and fitted with guiderail, and is open up to 17K in August. I didn't get any new 17K photos, so you can see the look of the old end of the road by visiting that page via the link below.